Learn the best way to connect and build relationships with Columbia alumni. One of the great benefits of attending Columbia University is its accomplished and vibrant alumni community. Many Columbia alumni volunteer and serve as resources to students like you who are seeking career advice, looking to build professional relationships, and hoping to gain industry insights. 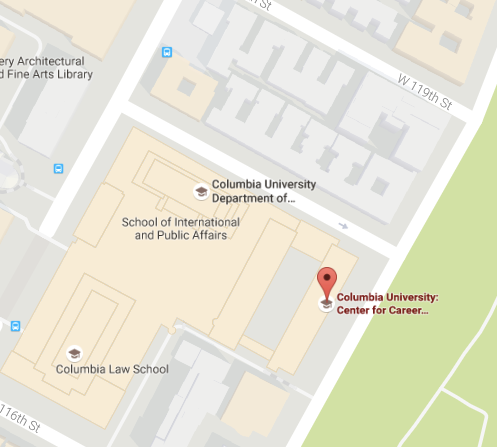 Alumni are not just going to hand you a job because of their Columbia affiliation, but many feel a strong connection to their Alma Mater and are willing to connect with you. Remember, alumni have volunteered to serve as resources. Use them appropriately by making realtionship building your priority. There are various opportunities to connect with alumni both virtually and in-person. To learn more about how to find alumni contacts, please visit our Connect with Alumni page. Most alumni prefer initial contact to be through email or LinkedIn. Do background research to understand who they are and what they have accomplished in the workplace. Also, set expectations for what you want to learn or to gain beforehand. How you found them (CCE event, alumni network, referral from a counselor, etc.). Your school and (expected) year of graduation. What you are seeking (information about their organization, industry tips, job search techniques, etc.). How you would like to meet (in-person informational interview, phone meeting, Google Hangouts, etc.). Indicate how you will follow-up. You can attach your PDF resume — just let the alumni know that it is for their reference only. Events such as career fairs, industry showcases, and alumni networking receptions provide a comfortable opportunity to make new alumni connections and inroads for your next career step. To prepare, develop and practice a brief introduction or “elevator speech” and set a goal to accomphlish. If the event has a career theme, base your introduction on your career status and interests. Remember, you’re there to make new connections, so don’t be afraid to strike up a conversation with someone new! At the end of your conversation, if you would like to speak with this alumnus/a further, ask for a business card. You can comfortably do this by saying how much you have enjoyed the conversation and inquiring whether it is possible to continue the conversation at a later time. It is important to follow up with alumni after your contact with them. Send a thank you note within 24 hours of your meeting or conversation. Expressing your gratitude can go along way, and can keep the door open to connecting again in the future. Additional follow-up is appropriate after you have taken their advice on something and have an outcome to report. Examples of this include: contacting someone they recommended, joining a professional association, reading an article they suggested, etc. For helpful tips on what to include in a thank you note, please refer to the Thank You Letters resource. What is Networking, and Why Do You Need to Do It? Networking is the process of making connections and building relationships. These connections can provide you with advice and contacts, which can help you make informed career decisions and find unadvertised opportunities. A 30-second introduction shares highlights about your interests, experience, strengths, accomplishments, and goals!